Advantages of genetic engineering, genetic engineering on humans and genetic engineering facts - contentious and controversial - perfect for persuasive speech samples. Interesting persuasive speech topics, a persuasive speech outline and persuasive types of speeches will culminate in winning words of wisdom! Good persuasive topics and a logical argument, that is well structured and presented with conviction, will persuade your evaluator to award you with an A grade! Don't forget to personalize and adapt your speech to suit your personality - good luck! Our pursuit of science and our quest to delve deeper into the science of genetic engineering may yet exact a price that is still beyond our conceptualization, with consequences unknown and not yet quantified. Genetic engineering, although still in its infancy, seems to offer a number of potential advantages. Scientists suggest that with the advancement of genetic engineering, potentially infectious and incurable diseases may be minimized and perhaps ultimately cured. Genetic engineers are striving to implant specific genes that have been engineered with antiviral proteins uniquely designed to eliminate and target correlating antigens. 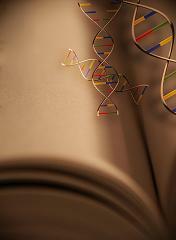 Similarly, genetic research may also be able to determine specific genes that contribute to hereditary diseases. The aim is then to proactively identify people who may have a predisposition to a particular disease or someone who may be more susceptible to the disease. Careful monitoring may lead to an early diagnosis and ultimately a more positive prognosis. This intensive scientific research may pave the way for the development of new drugs that will target specific genes and address genetic mutations. The advantages of genetic engineering may further reverse or slow down cellular degeneration which may in turn culminate in a generally increased life expectancy, quality of life and overall health and productivity. It has even been suggested that genetic engineers may one day be able to engineer designer babies (made to order) with pre-determined physical characteristics and personality traits, resulting in what some may refer to as a "genetically superior" population. However, the potential to engineer a "genetically superior" population raises a number of questions, as yet unanswered ... questions construed by many to be problems with genetic engineering. Will genetic engineering result in genetic discrimination between those who have been genetically enhanced and those who have not? Will our natural resources and the economy of the world be able to sustain an ever-growing population with an extended life expectancy? What are the long term consequences and the "butterfly effect" of introducing genetically engineered genes into nature and all its complex evolutionary processes? Morally and ethically, do scientists have the right to manipulate nature? Despite these very important and very real concerns, our pursuit of science is likely to progress and continue. Our hope is that the scientific research into genetic engineering will be responsible, objective, morally grounded and in humanity's best interests. Advantages of genetic engineering ... excellent persuasive research topics and advice on how to pitch it perfectly - winning words of wisdom!